This book contains eight generations of descendants of Juan Bautista Chapa and Beatriz Olivares de Treviño. Juan was born in Genova, Italy and arrived in Mexico in 1647. It is believed that he entered El Nuevo Reino de Leon (Nuevo Leon) in 1650. 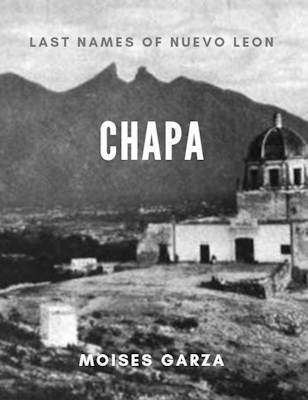 Juan Bautista Chapa is considered to be the progenitor of the Chapa last name in Nuevo Leon, Tamaulipas, and Texas. Juan was the son of Bartholome Schiapapria and Batistina Badi. He married Isabel Martinez Guajardo in about 1653, who was the daughter of Juan de Olivares and Juana de Treviño. 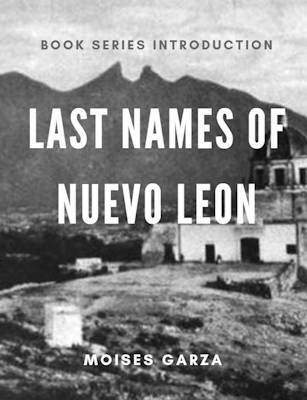 One of the greatest contributions of Juan Bautista Chapa to history is that of having written “Historia del Nuevo Reino de Leon, desde 1650 hasta 1690”. He anonymously authored the work for fear of reprisals. Eventually Don Israel Cavazos Garza identified him as the author using clues found in Juan Bautista’s will. Don Israel Cavazos Garza also mentions that “he was notary public of the town of Cadereyta and Secretary of the Governors Zavala, Alza, Azcarraga and others, for 26 years. Was part of the journeys into Texas from 1686 to 1690. He was secretary of Alonso de Leon el hijo, Governor of Coahuila. He also drafted the founding charter of Monclova (1689)”. This book is an attempt to document the descendants of Juan Bautista Chapa and Beatriz Olivares de Treviño and even at 325 pages, there are many more to be discovered. Research is a never ending endeavor.